His research focuses mainly on the origins and development of social behaviors of humanity. 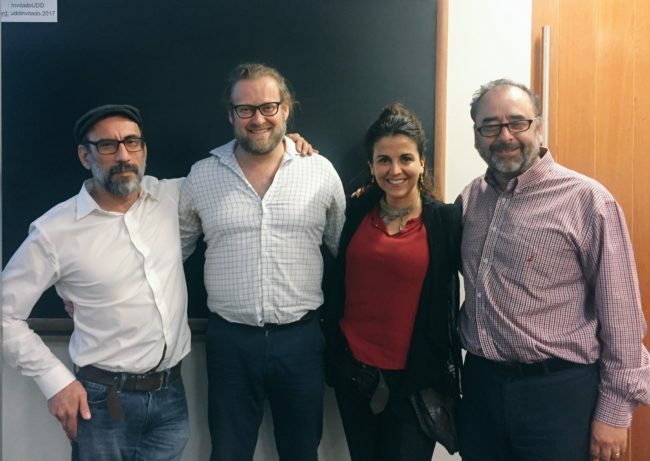 The British scientist and researcher, Tamas David-Barret, exhibited at the Universidad del Desarrollo part of his research within the framework of the Doctorate in Sciences of Social Complexity that is taught by the Center for Research in Social Complexity (CICS). David-Barret spoke about the concept of ‘Matriocracy’, which he defines as the balance of power between men and women from the evolutionary origins to the present day. Tamas began by explaining that patriarchy was promoted thanks to agriculture, since it was used as a mechanism to gather resources for their children. According to the researcher, matriocracy is currently gaining strength because fertility rates are falling, so the institution of marriage (patriarchy’s own rules mechanism) is losing its meaning and matriarchy is recovering. It should be noted that the talk, which was held in the Postgraduate building, was also attended by researchers Carlos Rodriguez-Sickert and Isabel Behncke. Log in | 67 queries. 0.224 seconds.